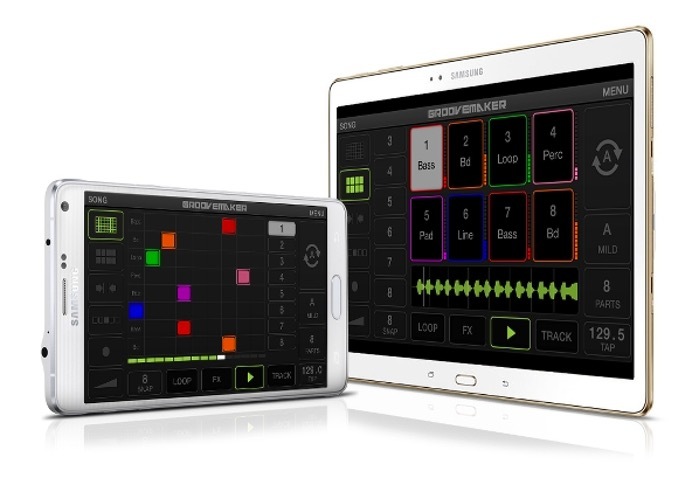 IK Multimedia has today launched its new GrooveMaker 2 remixing and music creation software on Android and priced it at £6.99, $9.99 and €8.99. GrooveMaker 2 has been designed to work with pre-arranged sets of over 6,200 loops that are grouped by bass drum, loop, bassline, pads and percussion and can be combined to always sound good together. “Playing with GrooveMaker 2 is simple: Select a song to enter the Grid interface. Then push the Randomix button to start the music and make the building blocks of your groove appear. You can change grooves with the Randomix function or literally “draw” new grooves directly on the grid. You can lock, solo, mute, change volume, pan and freely associate loops with each of the 8 available tracks. GrooveMaker 2’s easy-to-use touchscreen interface lets you effortless take control of the music: alter groove length, browse available loops, tweak effects, trigger Randomixes and more. For more information on the new GrooveMaker 2 Android app and to download it jump over to the Google Play Store website for details.